Christmas time is wonderful for kids, but sometimes coming home with all those toys can be overwhelming as you try to find new spaces to store them all! 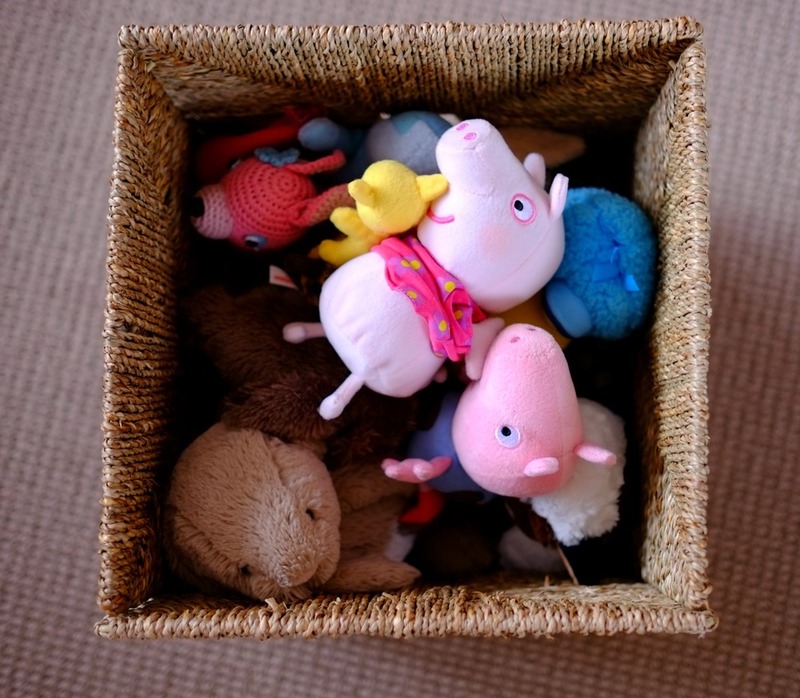 Today I'm showing you how I decluttered and organised the kids' toys into a more manageable system. I realised the other day that I still have not shared all of the organisational goals that I set for Jan-Feb and have actually completed! 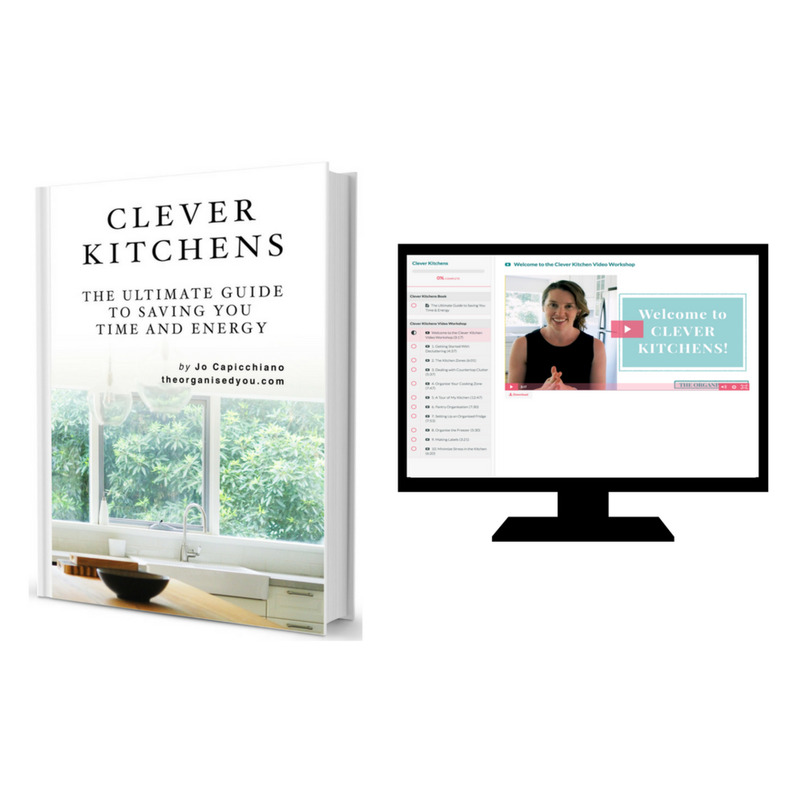 I always have so many projects and tips to share with you, that I overlooked the fact I hadn't shared everything I've ticked off the list. 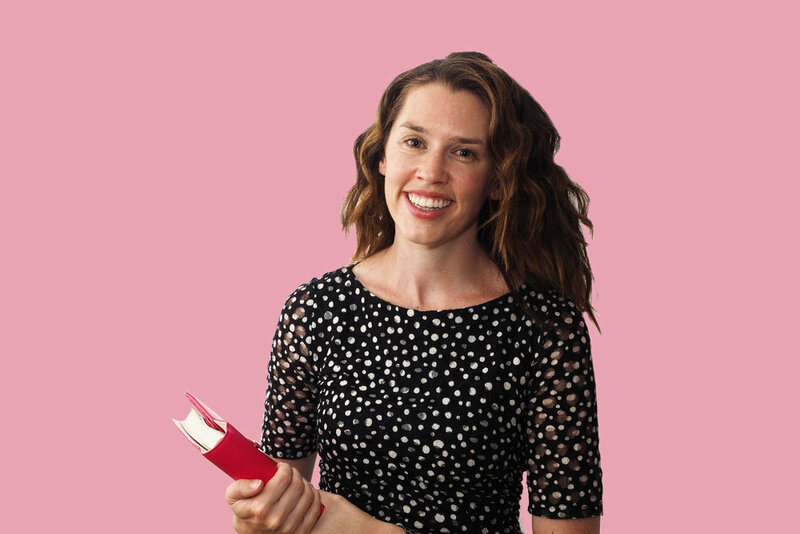 You can see the links to each project at the end of this post. 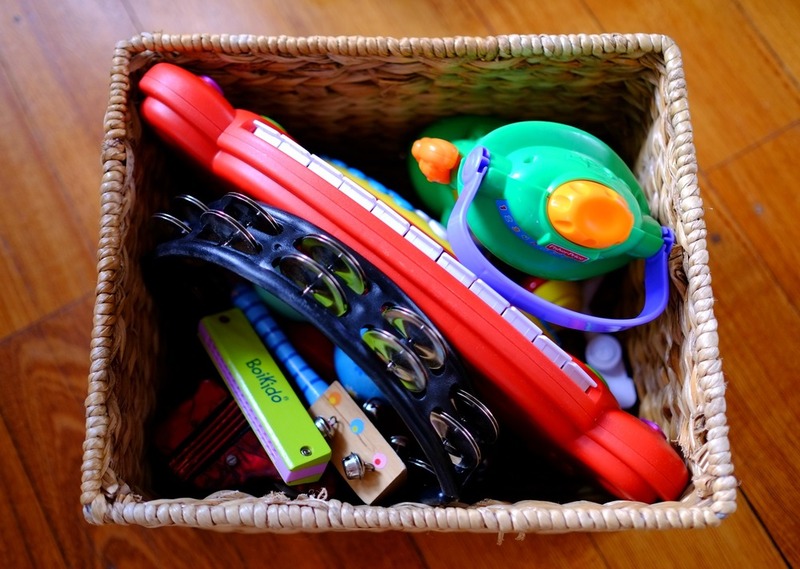 Today I'm tackling the decluttering and organisation of the kids' toys! Our children are blessed to have a very loving and generous extended family, and so they were truly spoiled with toys, clothes and books on Christmas day. After our time away over the holiday period, I set about organising the toys fairly quickly, as it was all sitting on our kitchen table. Hardly ideal. For this project, I just focused on the living room, as most of the kids' toys are stored in baskets on the bookcase shelves, which I showed you here. We don't have a play room, so most of the larger toys are in my son's bedroom, as his room is quite big and has more storage space, while my daughter's is still set up as a nursery. My first step in this project was to remove all the baskets so I had a blank slate to work with. This project is what also prompted me to start the house inspiration binder, this picture shows the huge magazine stack I started with. Here are the baskets that were sitting on the shelves, a combination of Freedom, Ikea and Target ones that I've picked up over the last few years. 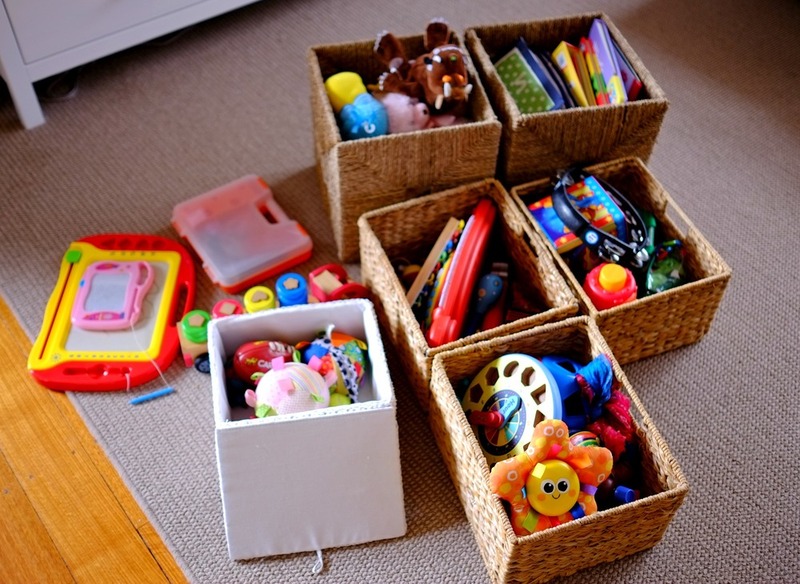 Baskets and boxes are a great way to keep toys contained, categorized and organised. 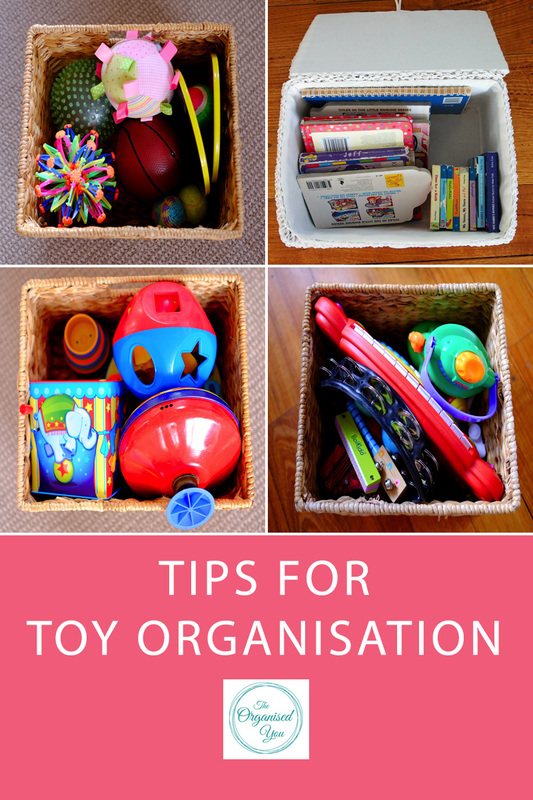 I usually take 1 or 2 baskets off the shelf during each play sessions so the kids are not overwhelmed by too many toys, and are focused on one 'theme' e.g. music or building. I then added in all the Christmas gifts. I didn't pull out all the other toys from the bedrooms, as I was trying to keep the task manageable and focus on what we wanted to keep out in our living space. We had already done a toy purge before Christmas, but this would definitely be the next step if you were doing this at home. You may prefer to do it with your child/ren there so they can decide what they'd like to keep and what could be donated or passed onto other family members. Or you may find the process easier to do when the children are not there so you can be more ruthless. I prefer the latter method! I separated the toys into categorized piles so they could be placed back into the baskets in some sort of order. As you can see below, these categories included soft toys, balls, building/construction, music, large activity books and 'quiet' book, and the shopping trolley, which holds all kitchen related items such as pots and pans, pretend food etc. These two white storage baskets still hold the small board books (which my daughter will probably lose complete interest with soon as she prefers bigger books) and a 'random' box for all those little toys you get but don't have a place for. Ours includes walkie talkies, old jewellery, a few dress-ups, finger puppets, kaleidoscopes etc. One of the drawers of the TV unit also holds puzzles and games, so everything is quick and easy to access. Here's the bookshelf unit today with all the toys organised and contained. I still want to add a bit more 'life' to this unit - maybe with books, plants, vases - but find this difficult when it is essentially a toy storage area. Decoration happens very slowly at this house, so it's a definite work in progress. I decided not to label all the baskets as it's easy enough to see at a glance what goes where. The walkers, golf set and cricket set made their way out into the garden, which has been completely taken over by toys. That's fine with me though, as the kids spend hours playing out there! I put some of the other larger items, such as the tool box, large teapot and shape train into my son's room atop the storage unit we built. The storage baskets in here contain lego, train tracks and cars, so we can grab these boxes out during play sessions too. We have big plans for both the kids' rooms that will improve the toy storage, which I'm totally excited to get underway. I have a separate area for the kids' craft items, which is where the remainder of the Christmas presents are stored. I'll be sharing this organised space next week.